I’m going to do NANOWRIMO this year and, like 2006, 2008, and 2010, I’ll finish. 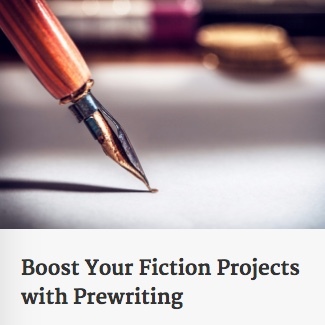 –I’ll take my own prewriting course over the next few days prior to Nov. 1. Just to see if I know even a nano-iota of what I’m talking about [i.e. stealing from smarter, more experienced writers]. Critical Me: So, why are you even doing this? Critical Me: Do you want this to be, eventually, a marketable product? NANO-Me: Since I’m not great a Round Two Writing, that’s not even on my radar. Critical Me: Do you have a plan for your story? NANO-Me: Why yes I do, smarty-pants. In fact, I have a chronology all set up in my mind, a sequence of 180 mini-chapters, if you must know. Critical Me: And you really think you’ll finish all 180 mini-chapters? NANO-Me: I mainly want to finish my 50000 words and see which comes first. Critical Me: What do you like about NANOWRIMO? NANO-Me: I like the freedom to inject all sorts of detours into a story depending on your mood on a given day. And I like Chris Baty’s No Plot, No Problem book. Critical Me: What’s so special about that book? NANO-Me: Well, it’s like this. He’s the guy who started it. And his fly-by-the-seat-of-one’s-pants suggestions are worth the read. And it is just that devil-may-care [am I using too many hyphenated expressions?] approach that inspires me to spend my words like a drunken, well, not Hemingway, because he didn’t waste words…spend my words like a drunken Tolstoy, how’s that? Critical Me: First of all, yes, you are sucking the well of hyphens dry. Thanks for noticing. Care to share any gems from Baty’s book? NANO-Me: Sure. I’ll put them at the end of this. I wouldn’t want them drowning in this sea of blather. Time for a break, right? NANO-Me: For lunch, that’s what for.